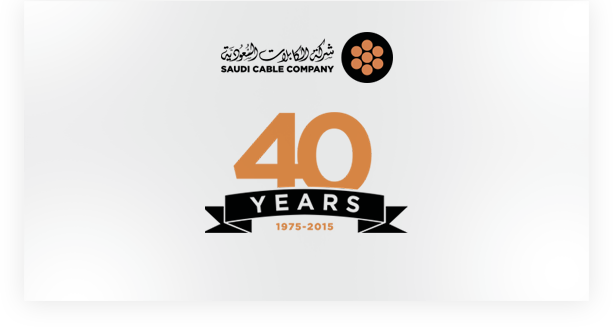 Saudi Cable Company (SCC) provides world-class cable products, services and complete turnkey solutions for energy and telecoms networks globally. From design and engineering to manufacturing; from installation and testing to commissioning, our commitment to quality and people has made us one of the Top-10 producers of power and telecommunication products in the world today. The SCC Group is driven by one goal – the need to satisfy today’s demands for power and telecommunications systems. This single-minded focus means we’ve long been the Middle East’s foremost provider of technologically advanced solutions and services, globally recognised for our excellence in product design and engineering. Since our inception in 1975, governmental agencies, public utilities and private-sector clients the world over have benefited from the quality of our products and our ability to deliver world-class total solutions. The Group now consists of 4 companies, each contributing innovative approaches and specialised solutions for our customers. Saudi Cable Company is on the move. Through our new website we hope to increase communication and engagement with our customers, suppliers and stakeholders and to make new and exciting things happen every day. Things that are unique and unrivalled in KSA and beyond, thanks to the technical expertise and value for money of our products and service offerings. We want to stretch the boundaries in an industry that has long been conservative. And we’re supported by our strong tradition and previous innovations in cables of all types, from low to extra-high voltage, and specialty cables with unique custom design flexibility and optimised logistics. Our vision is to be a world-class provider of innovative total cable and equipment solutions, with reliable products and services. With that in mind, we are building on our established legacy with a blend of tradition and forward thinking, making use of our collective talent to meet and exceed customer expectations. We are committed to measuring ourselves by transparent performance indicators to determine where further improvement can be made, should be made and will be made. This website will be the platform by which we showcase our future progress to all our stakeholders. The cable business is very competitive and only the strongest can win. We are dedicated to being the strongest. I hope you will take the time to visit our website regularly and to become a supporter of our company on its journey to excellence.